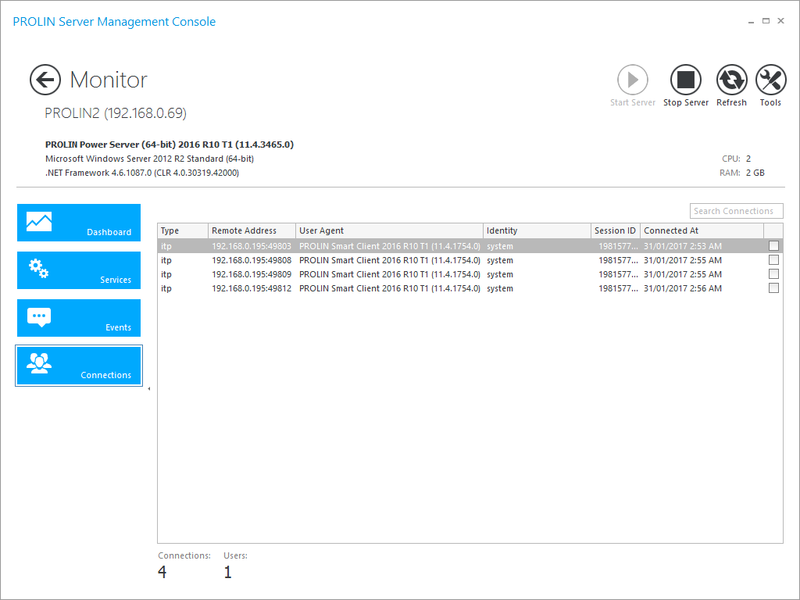 With the 2016 Release of the PROLIN Smart Suite we introduced the PROLIN Server Management Console(PSMC). 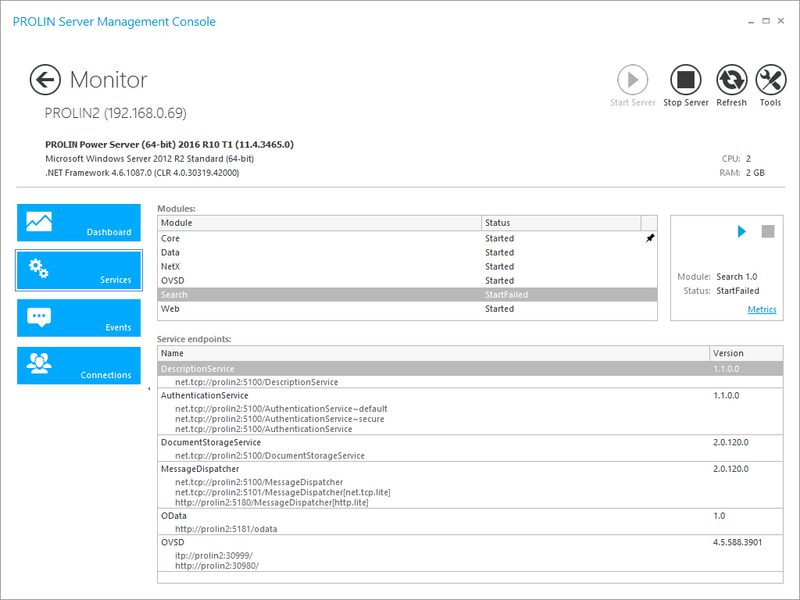 This new addition to the PROLIN Power Server gives you the tools to manage backend operation as well as monitor server health and performance. 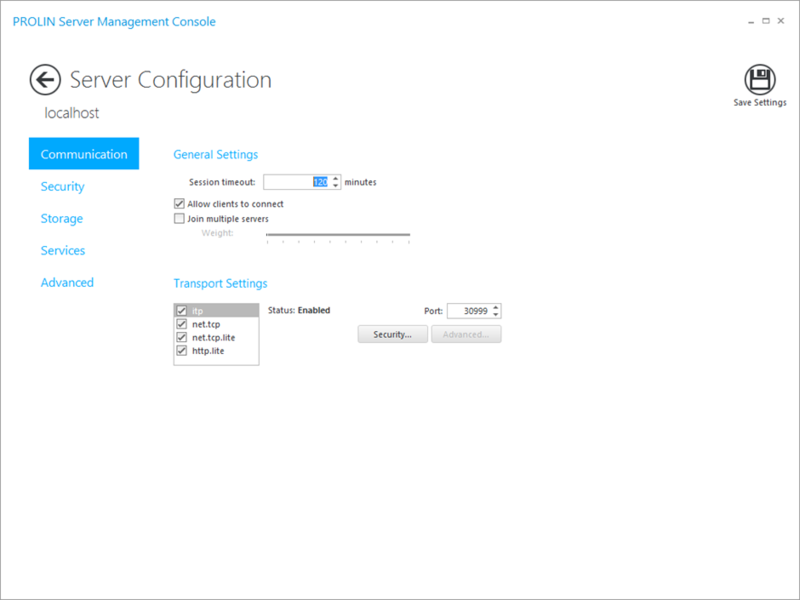 Server Configuration provides access to communication settings such as security, protocols, ports and time-out. Transport Settings enable the configuration of newly added protocols, see Feature Focus Issue 4: Alternative Protocols. 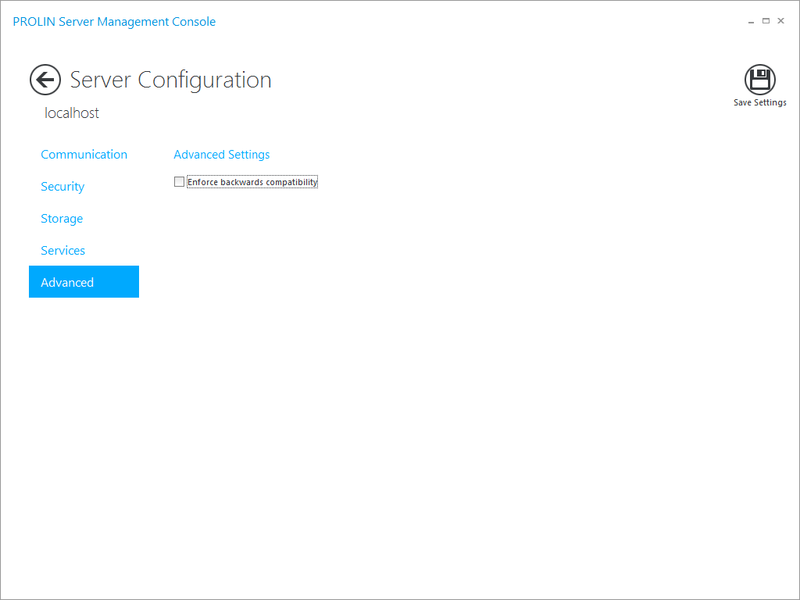 In this section administrators can define the settings for the Single Sign On, and Microsoft NTLM, both capabilities introduced prior to PSS 2016, but now easier to configure. For SSO see Feature Focus Issue 5: Single Sign On. Here you can set and adjust the Database settings. 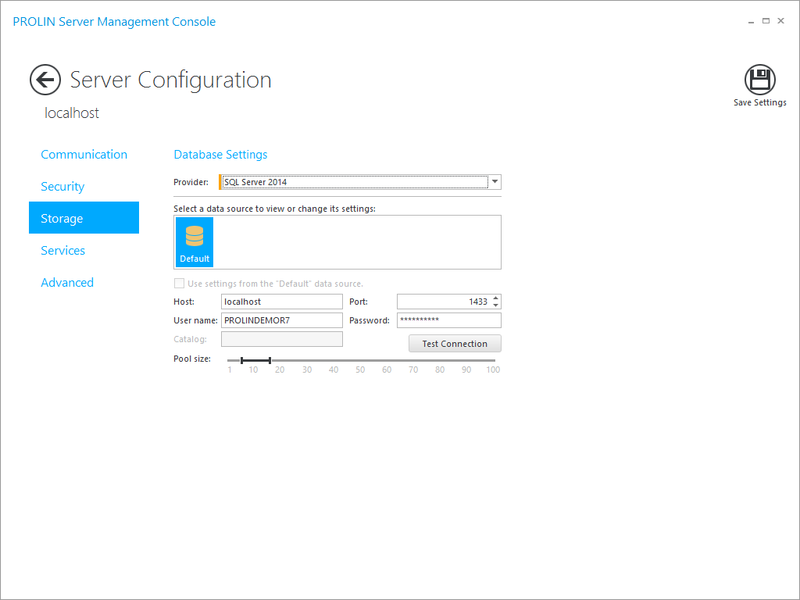 Select your database type (Oracle or SQL Server) and run a test to validate the database settings. 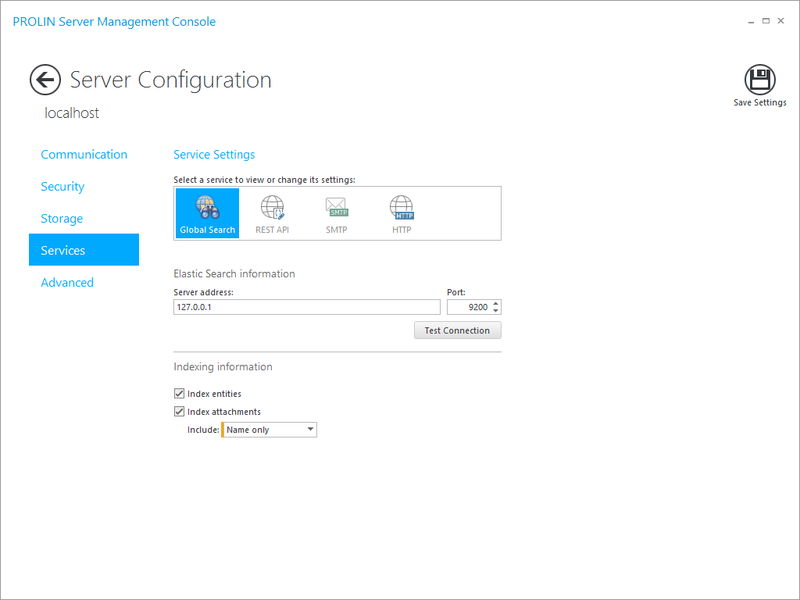 Global Search, when the Indexing Server component is installed (or hosted on a separate server you can configure and enable the settings for the Global Search in the Smart Client. Allowing a search across all entities and fields. REST API: Enable and configure the REST API to create enhanced integrations. SMTP: Enable and configure the mail capabilities. 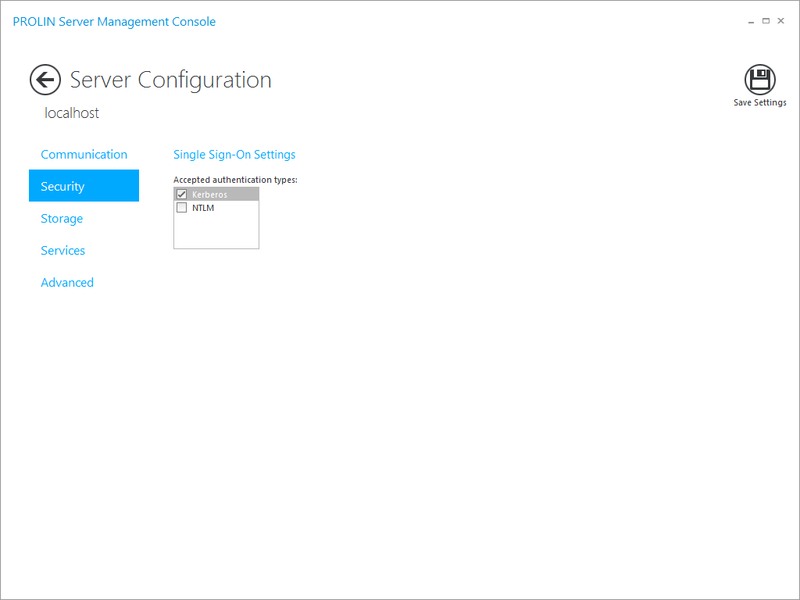 HTTP: Enable and configure the Web capabilities. In the advanced section allows you are to enable a backwards compatibility setting to resolve certain rare legacy issues. 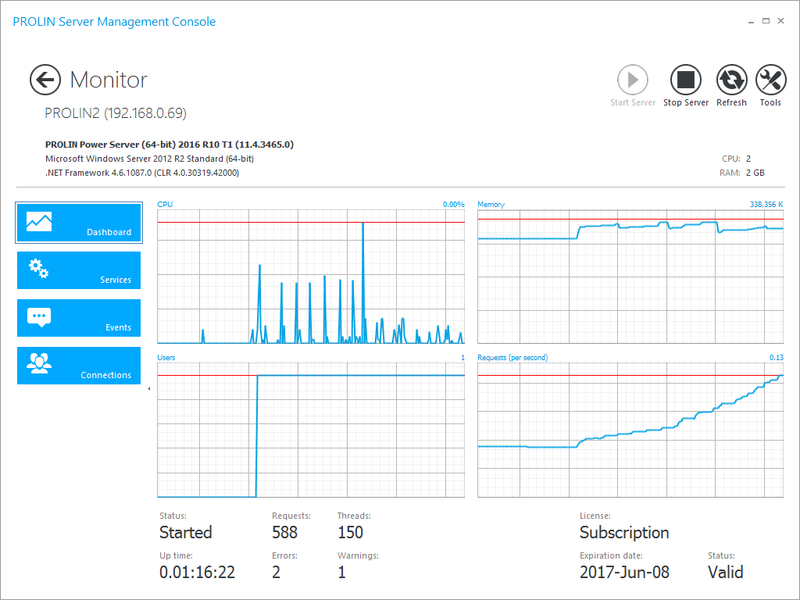 To monitor the PROLIN Power Server, PROLIN created a dashboard to provide a single view on the server health. This includes the server status, version and tools to debug. Graphs allow the viewing of current CPU, Memory, Users and Requests (per second) provide detailed insight into the performance of the PROLIN Smart Suite environment. This display also reports on run time statistics and licensing information. The Services section lists the status of each service and the ability to see specific metrics for those specific services. For the Global Search for example we can see the number of indexed documents and the indexing details. 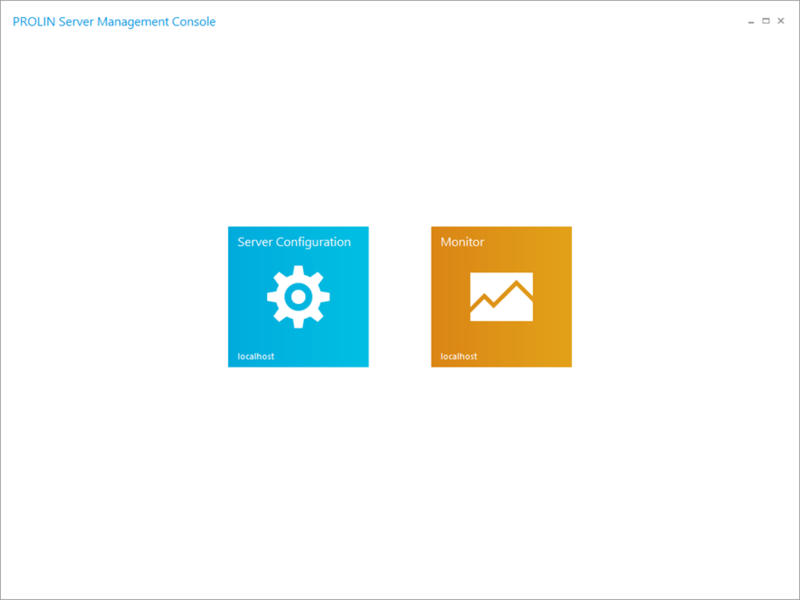 The Service endpoints provide a detailed overview of the enabled Service ports/links. This section gives access to the current and archived service logs. Filters can be applied allowing focus when trouble shooting and health monitoring. It is also worth noting that Power Server now collects the log messages from the OVSD module as well, and cycles the log file every day. This cycle prevents a huge, unmanageable “logserver.txt”. This screen displays the connected users and associated connection information. 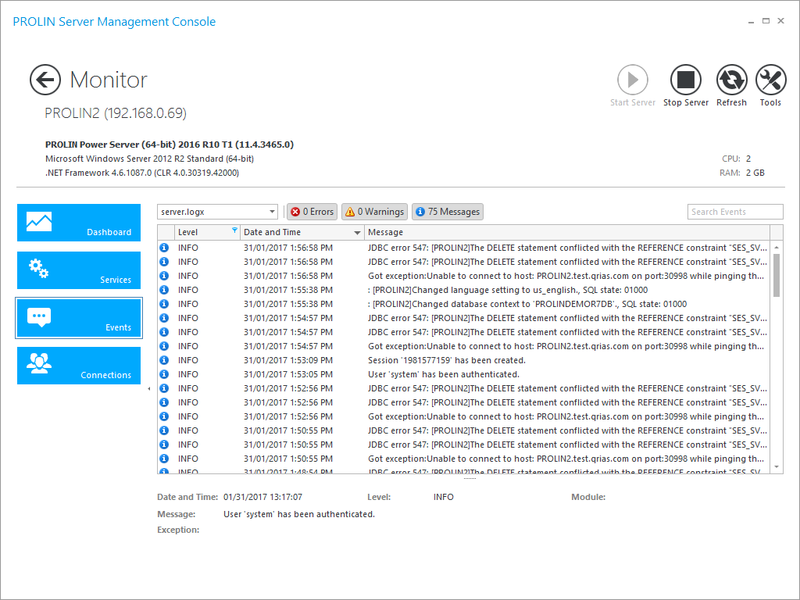 The PROLIN Server Management Console provides the tools needed to fully manage PROLIN Smart Suite. Previously supported only by many manual steps, this single console provides easy access to the configuration and operational details required to monitor and manage the overall health of the PROLIN environment. We welcome your feedback and requests for additional functionality.